The Depression ruined Connie’s plans to practice law. Instead, in 1936, she joined the staff at Waldemar as head riding instructor and continued in that capacity for over sixty years. She touched the lives of thousands of young women as a role model and a mentor. 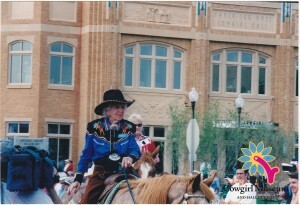 Connie married in 1942 and with her husband managed an over-10,000 acre ranch for more than forty years.